Last year, I reviewed Rikomagic RKM R1 Android mini projector with a typical TI DLP with 854×480 native resolution found in competitors, but what I really like what the touchpad and buttons at the top of the device that made it so much easier to configure and control compared to a device like Doogee P1. However with a Rockchip RK3128 quad core Cortex A7 processor and 1GB RAM, performance was on the lower side, and software already felt a little outdated (in 2017) with Android 4.4 and Kodi 14.2. The good news is that company has now launched Rikomagic R5 mini projector with significantly better hardware (Rockchip RK3328 processor + 2GB RAM), and a more recent Android 7.1 operating system. 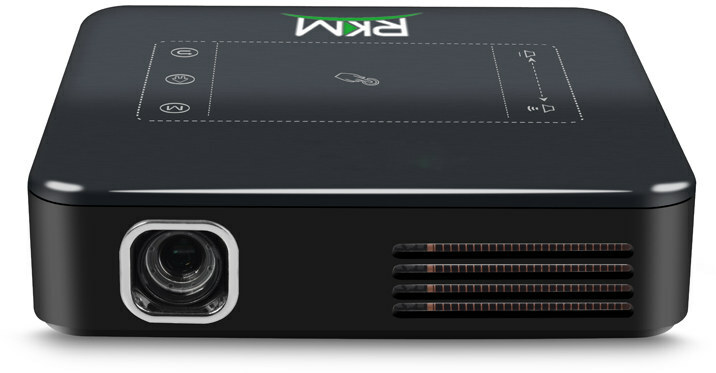 The company has changed the projector DMD using a 0.2″ DMD instead of a 0.3″ DMD found in RKM R1, and beside the better performance from the processor and extra RAM, the company also added AC WiFi, a USB 3.0 port, and a larger battery. The latter appears needed since it only lasts 1.5 hours on a charge. The physical design has changed since the project is now square shape instead of rectangular. Video playback capabilities will be better too as H.264, H.265 and VP9 are supported up to 4K UHD resolution. The main advantage is not necessarily better quality since you’ll be limited by the projector resolution, but the simple fact that 4K video will be playable, something that was not possible in R1 model. Rikomagic R5 mini projector can be purchased on Aliexpress for $291.53 including shipped with the power adapter, an IR remote control, a HDMI cable, a USB cable, and a tripod. 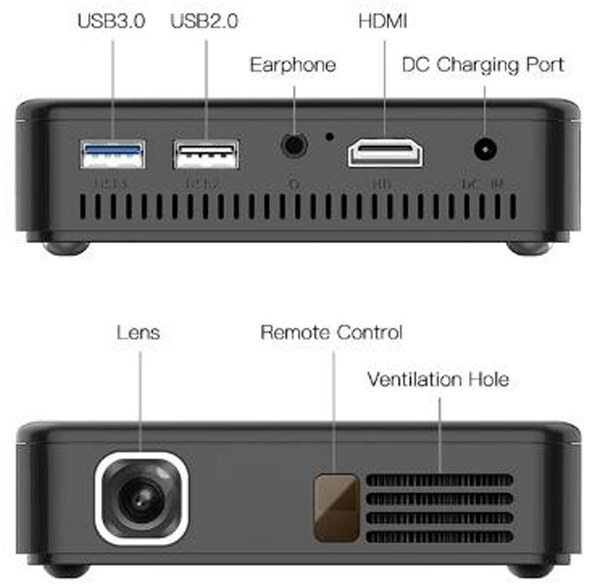 [Update: I’ve just realized it looks eerily similar to Ugoos UP1 Android projector]. Agreed there. £230 (at current rates) is enough to buy a 720p projector without the smarts and a chromecast. I want to see high resolution cheap LED projectors coming out of China. Previous PostPrevious Self-hosted OpenGL ES Development on ChromeOS?